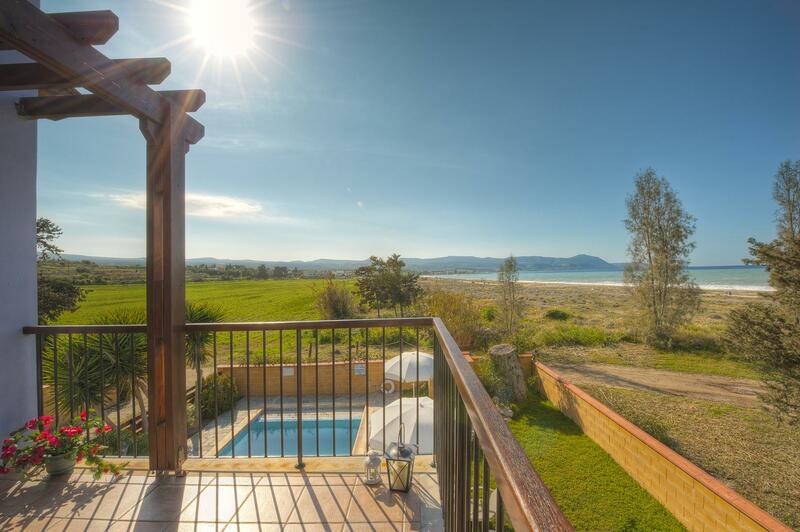 You'll love your holidays on the beach! 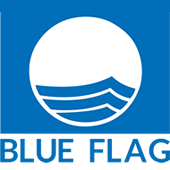 The beach in front of The Olympians Latchi Beach Villas has been awarded with the Blue Flag. 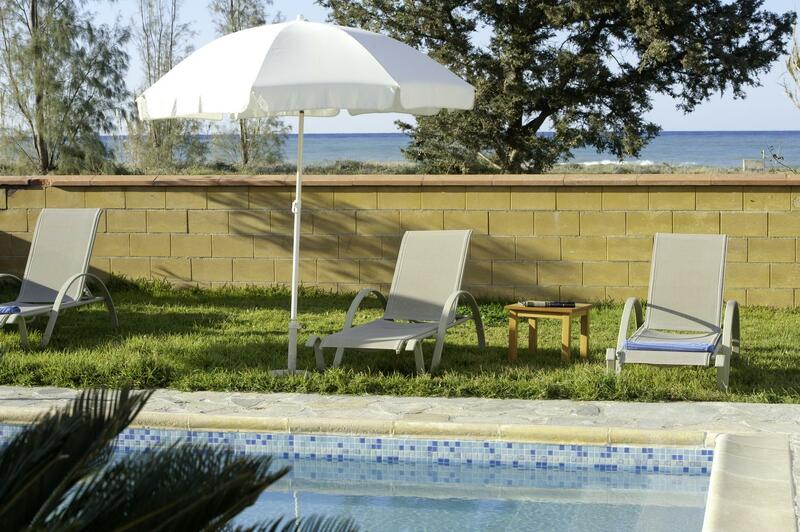 Enjoy the Mediterranean hot sun within your private swimming pool during your stay. Totally free high speed internet offered via Wi-Fi for your Smartphone, Tablet or Laptop. The Olympians Latchi Beach Villas is a group of 10 exclusive Mediterranean styled villas in Paphos, Cyprus, with a private swimming pool of two or three bedrooms, adjacent to the Latchi Public Beach which has been awarded the Environmental Blue Flag, a European award for beaches, based on cleanliness and safety. Crystal clear blue waters literally on your door step. 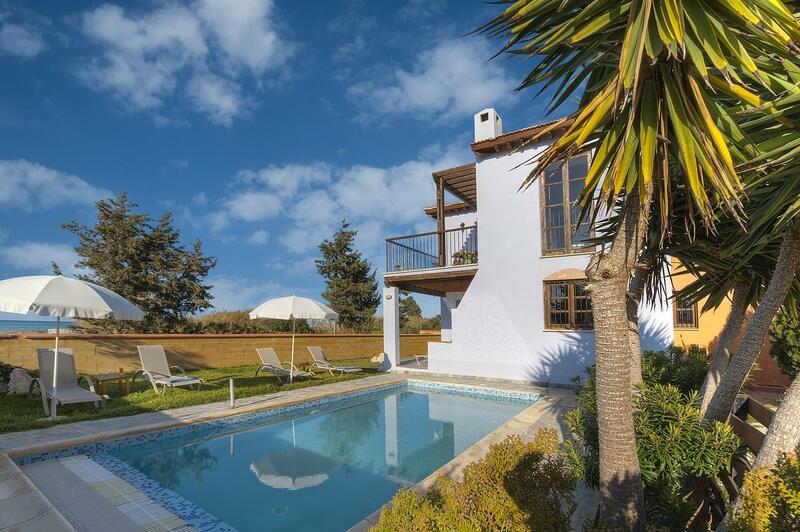 Set amongst open fields, boasting uninterrupted sea views. 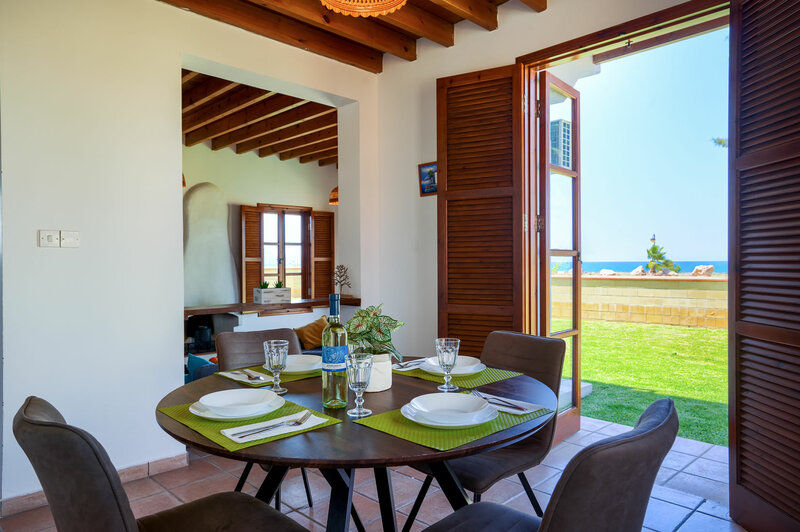 These Mediterranean style villas have been individually painted in bright colours , with surrounding walls assuring added privacy to each villa. Upper floor includes master double bedroom with en suite bathroom, one twin bedroom with separate shower room & toilet and large balcony. 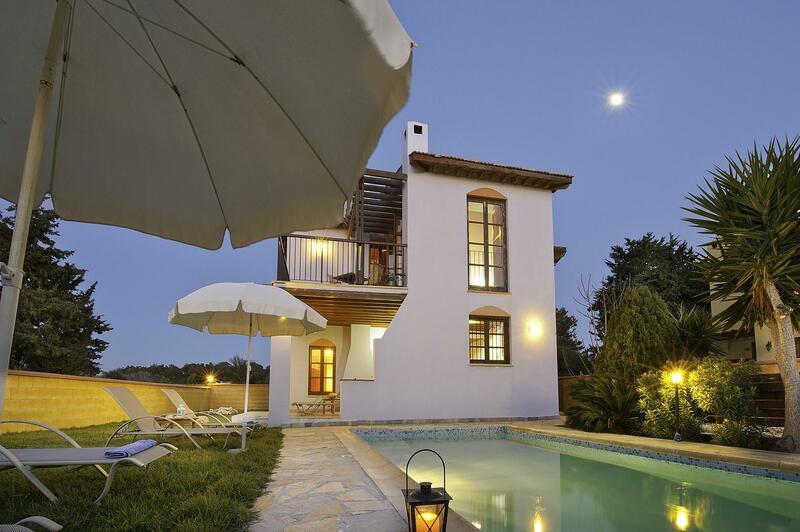 Lower floor consists of an open plan kitchen with access to outside terrace with private swimming pool and barbecue. A separate dining area and sunken lounge with traditional fireplace, opening onto terrace and pool, a guest toilet and shower. TV and CD player are also included. 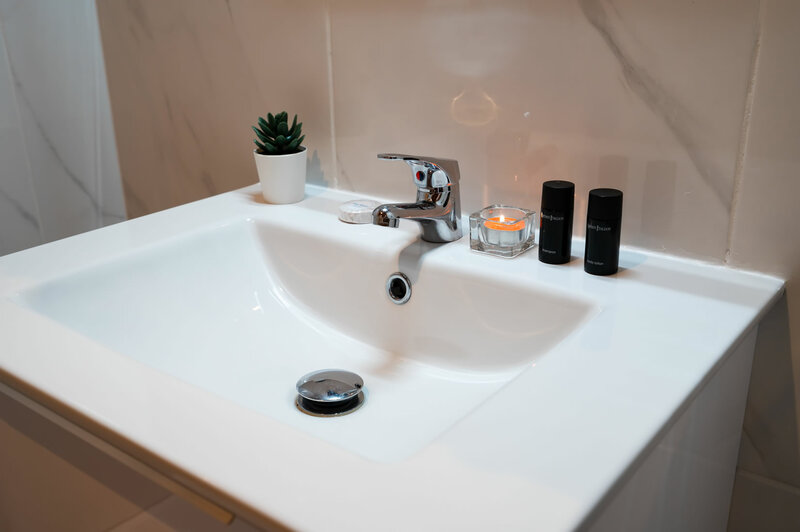 Kitchen facilities include dishwasher, washing machine, kettle, toaster, cooker, oven, freezer, microwave, Iron and ironing board are also provided. Optional air-conditioning in bedrooms is available. Upper floor includes master double bedroom with en suite bathroom, two twin bedrooms with separate shower room & toilet and large balcony. 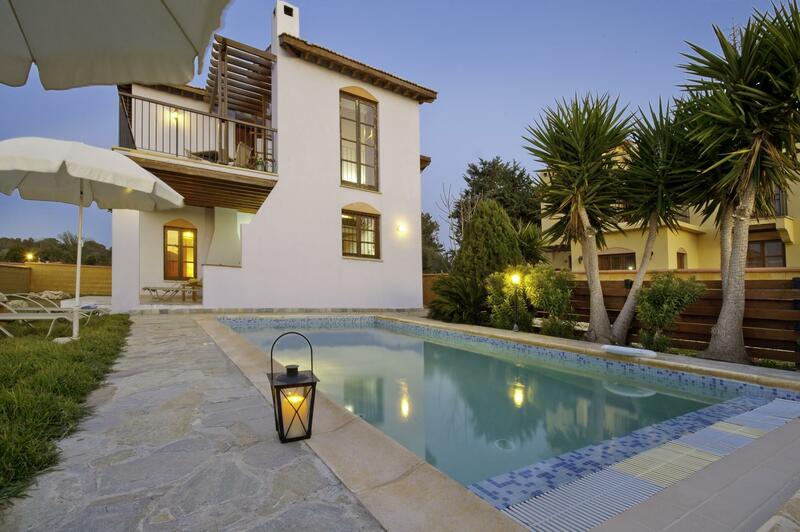 Lower floor consists of an open plan kitchen with access to outside terrace with private swimming pool and barbecue. A separate dining area and sunken lounge with traditional fireplace, opening onto terrace and pool, a guest toilet and shower. TV and CD player are also included. Kitchen facilities include dishwasher, washing machine, kettle, toaster, cooker, oven, freezer, microwave, Iron and ironing board are also provided. Optional air-conditioning in bedrooms is available. 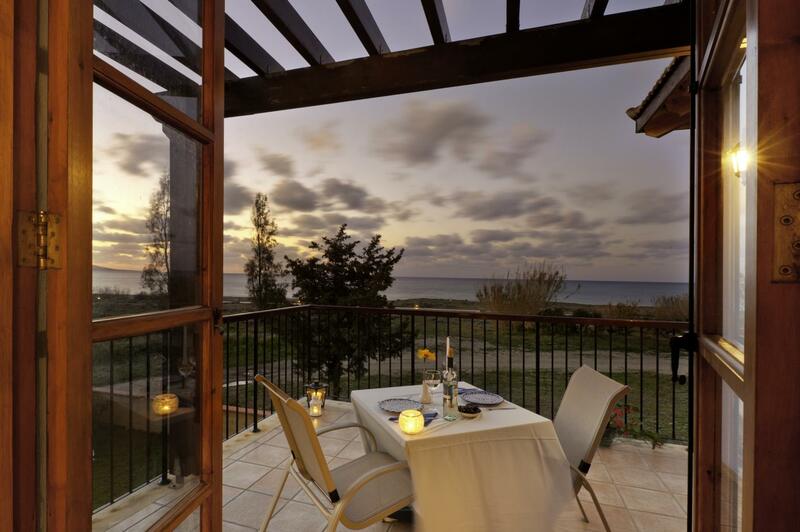 A few photos from The Olympians Latchi Beach Villas, in Cyprus. Once you open a picture a slideshow will automatically be initiated for you for more than 40 photos. You can also browse our Social Pages for even more photos. 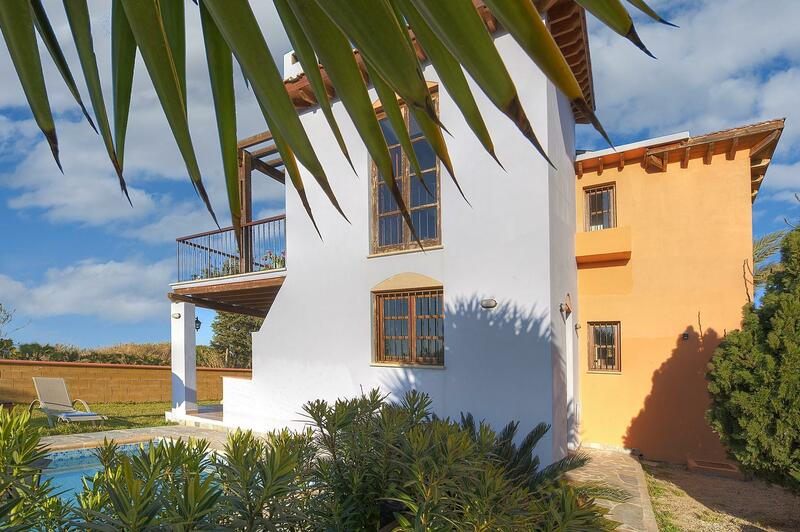 Notice that as all our 10 villas are identical in terms of design, all photos for all villas are exactly the same. 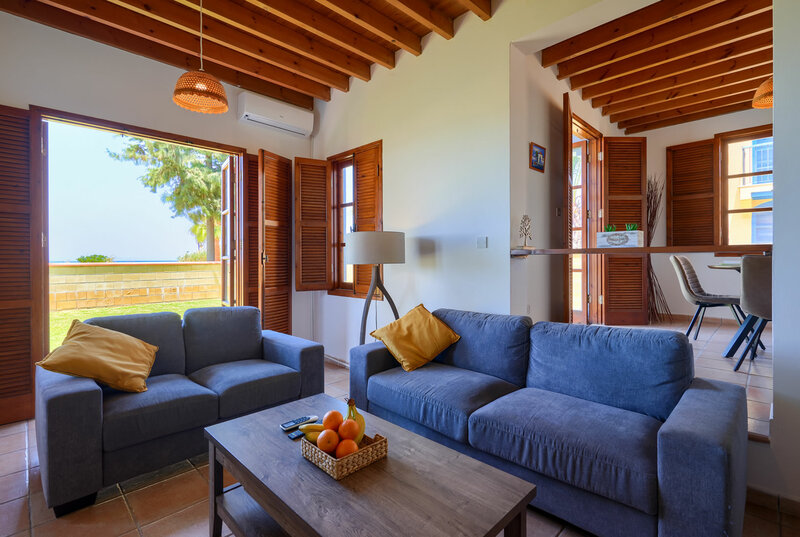 You may have chosen Latchi to spend a peaceful and private holiday with your family, but there are still so many things you shouldn’t miss during your stay. Latchi Harbour is full of hospitable taverns where you can have your meal right onto the picturesque marina. Akamas Peninsula is a truly pictorial part of the island. It has an area coverage of 230 square kilometres containing valleys, gorges and wide sandy bays. There are quite a few walking trails towards Akamas that you shouldn’t miss. 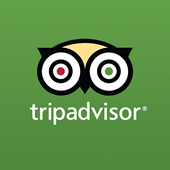 Check the following activities recommended through TripAdvisor. This is how our guests feel! We stayed here for a week and really enjoyed our stay. 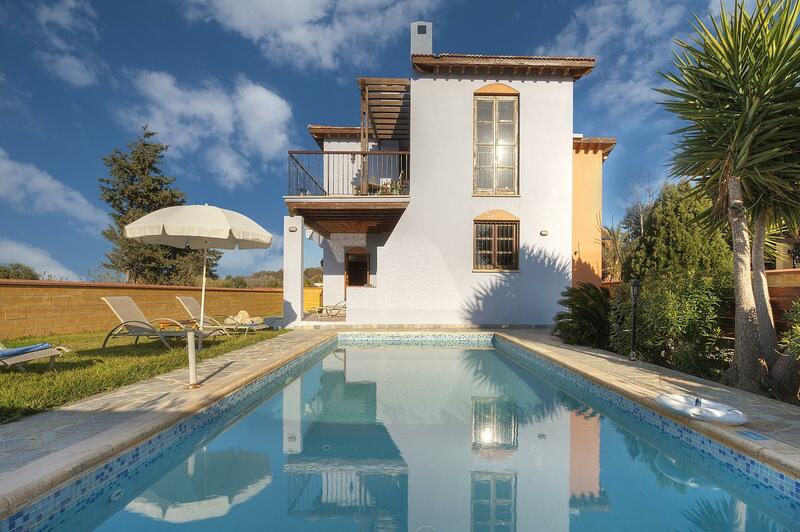 Villa clean and has all you would need. 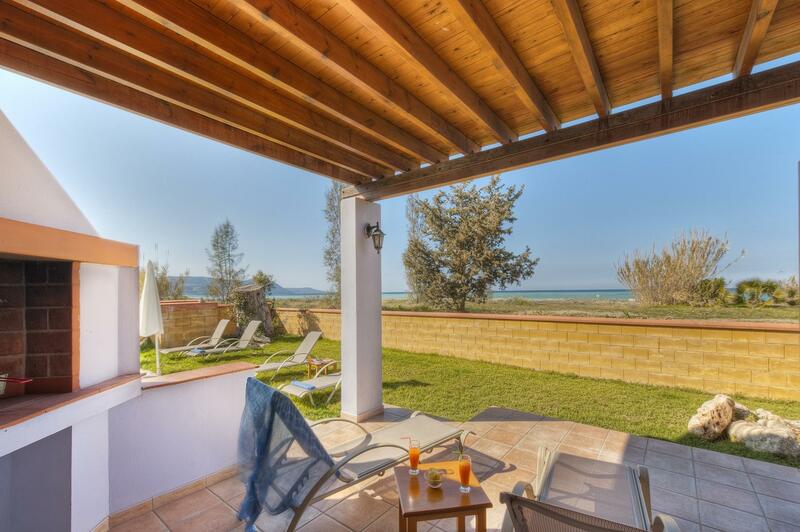 Great Villa lovely and clean fantastic for a family who want a relaxing holiday. Very secluded with private pool cant wait to go again. 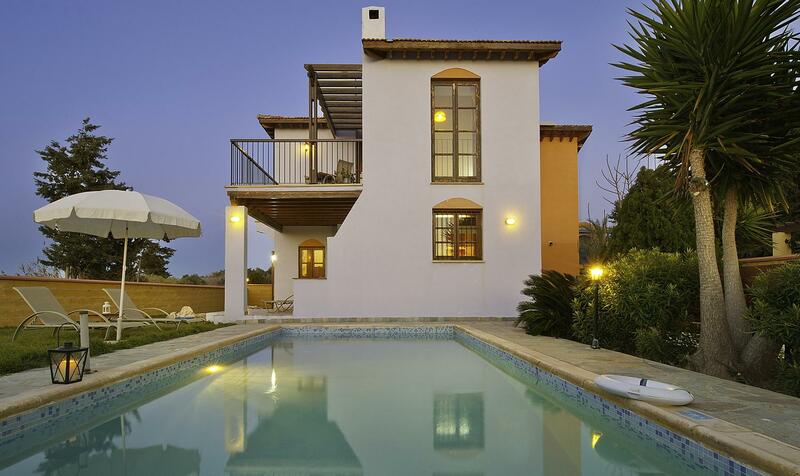 The villa was beautifully clean and we found it very spacious. We all had enough space to spread out and relax. 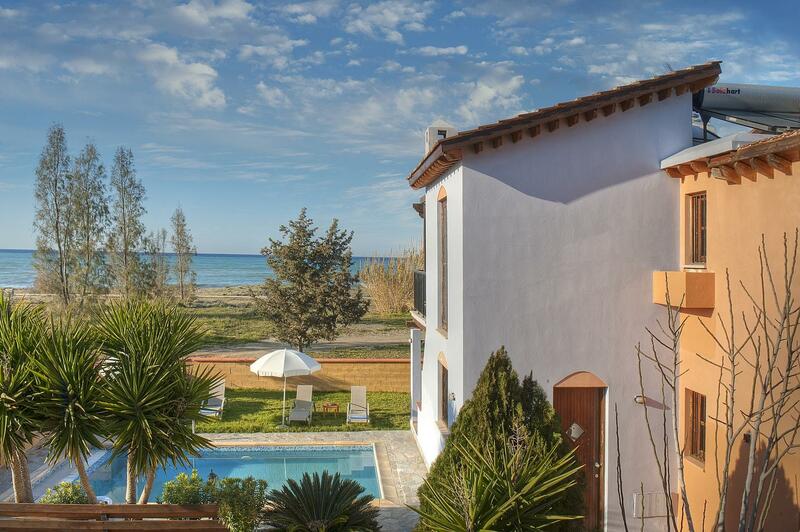 Have stayed at these lovely villas right on the beach for the last 12 years, usually for 2 weeks in September/October. The Olympians Project is owned by Dr. Elias Georgiou and his family. Dr. Elias has been visiting Latchi every summer since early 50’s as his father, George Georgiou, comes from the nearby village Polis Chrysochous. Passionate about the Greek islands Dr. Elias has managed to embed this unique Mediterranean & Greek style into The Olympians. 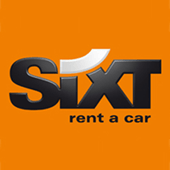 For years, we have been working with both Sixt Car Rentals and EuropCar. Should you need help feel free to contact our partners. 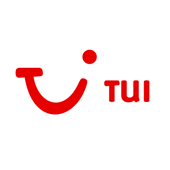 Need a taxi for your airport pickup? Or for your shopping? Feel free to contact us, we will be more than glad to help! We can provide an additional folding bed, ideal for children, at no additional fee. Please let us know in advance. Baby Cots and High Chairs are available, free of charge. Please let us know prior your arrival though! Although Cyprus is considered one of Europe's safest places to visit, there's a safe box available, provided for free. Sailing to Blue Lagoon? 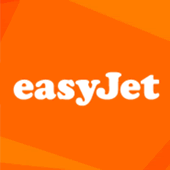 We can help you with booking your tickets! Please contact us for more details. We know it's self-catered holiday, but should you need a welcome pack do not hesitate to request. 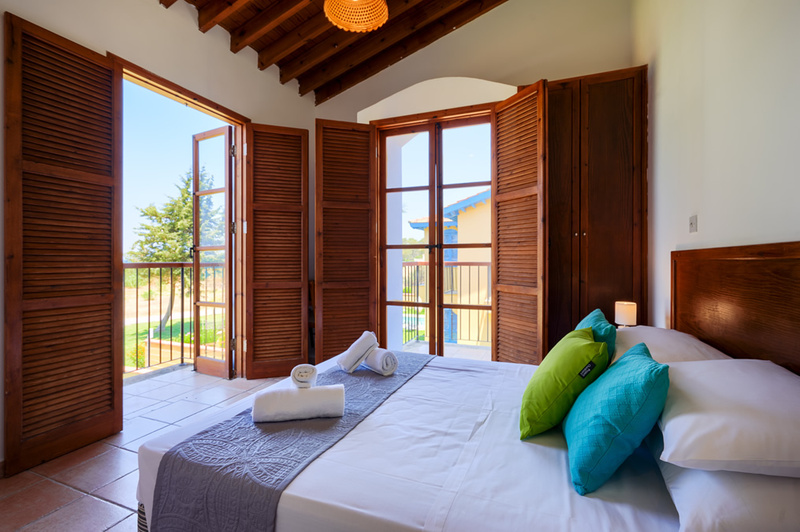 Available in all bedrooms of our villas. There's a daily charge of €7 per split unit. For your first night let us know in advance. We love pets as much as you do! 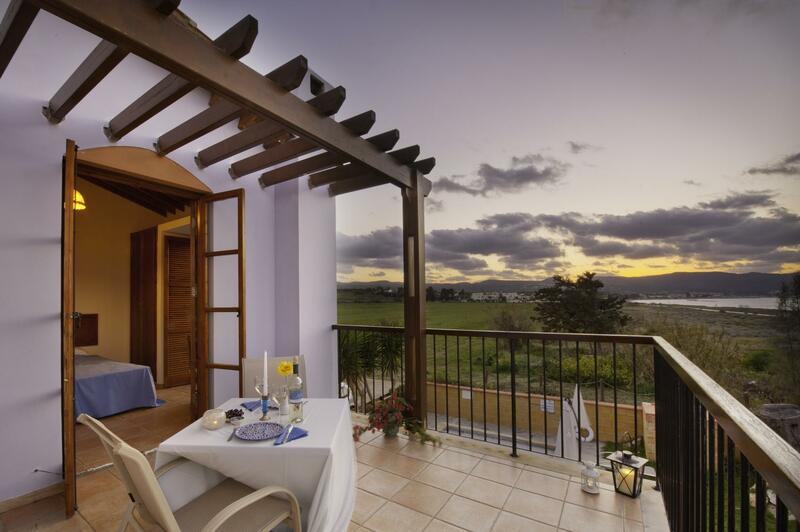 Provided that they won't disturb other residents of the villas they may join your holiday! Marcel and Gaby are your personal, daily care-takers. Both coming from Romania, speaking English, Greek and Romanian. They love working at this lost heaven of the Mediterranean and they are passionate about our customers willing to do whatever it takes to ensure they have the best holiday during their stay. Need anything? Noticed something that you don't like? Even if you feel that it's a crazy request, make sure they are the first ones to contact, they can provide almost every solution to your problem so that your holiday won't be spoiled. Their contact numbers are posted at your villa notice board. We usually respond within 3-6 hours. I have read the disclaimer and I acknowledge and agree that my personal data will be processed in accordance with GDPR. 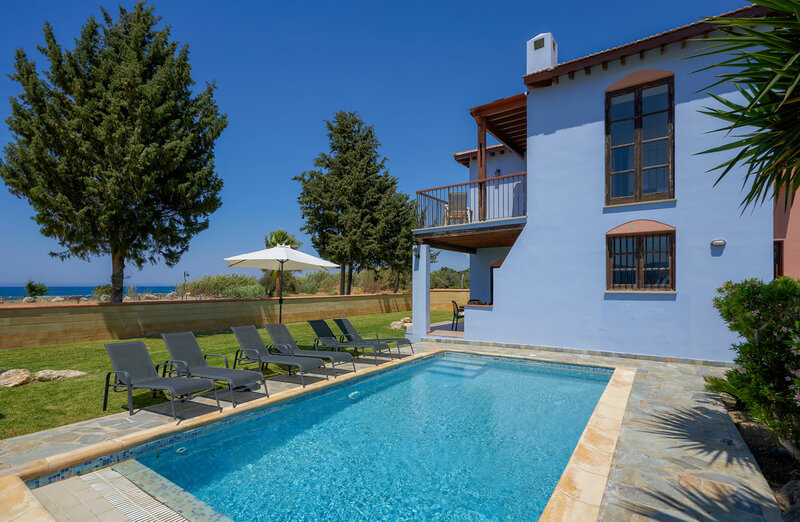 The small town of Polis is located at the north-west end of the island of Cyprus, right at the centre of a beautiful bay and on the edge of the Akamas peninsula nature reserve. Within 5 minutes of driving distance from Polis, one can find Latchi, a fishing spot with traditional taverns, small souvenir shops and holiday accommodation. 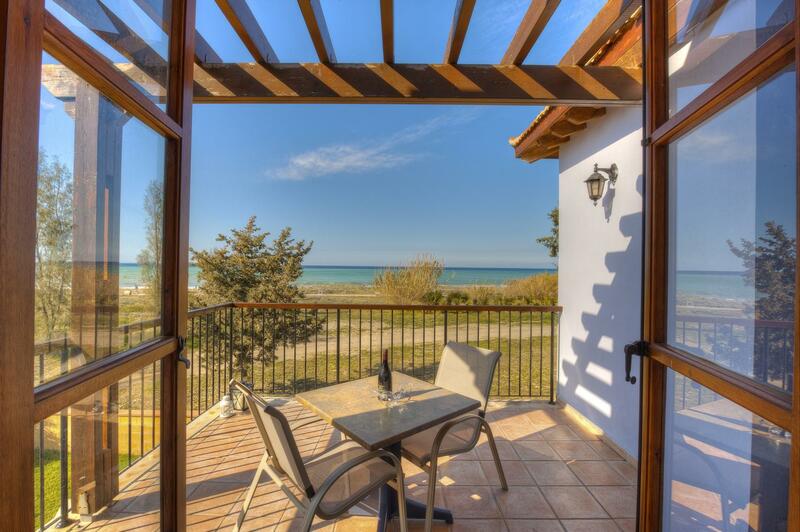 The Olympians Latchi Beach Villas are located between Polis and Latchi. On leaving the Paphos Airport car park, turn left and continue along this road for approx. 4K (the sea will be on your right). You will reach a T junction. Turn left here following signs for Paphos. After approx. 2K you will see a sign for A6 Paphos/Limassol. Turn right here and after about 1.5K turn left following the signs for Paphos. You are now on the highway. Continue along here for approx. 10K until the end of the highway and you will come to a large roundabout. As you enter Polis you will see the EKO petrol station on your left, take the next left following signs for Latchi. 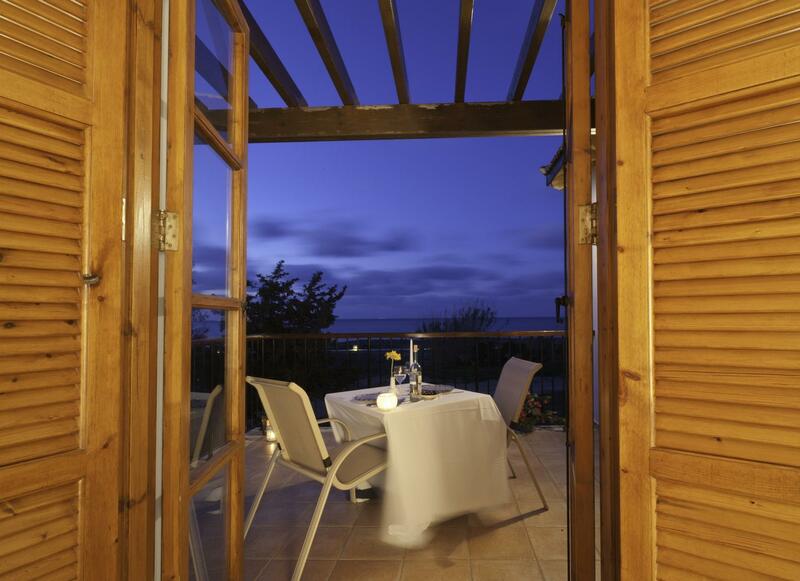 You will pass the Nikki Stratis Apartments on your right and as you enter the resort, the sea will be on your right. There is a large beach side restaurant/taverna La Plage with a children's play area outside. (the turning for Olympian Beach Villas is on the right before this). Using a GPS device is perhaps the easiest way to help yourself get to The Olympians Latchi Beach Villas. The following coordinates refer to the exact position of the entrance barrier. If you are not sure how to use these you should consult your device manual as of how to input these values. Looking to rent a car? 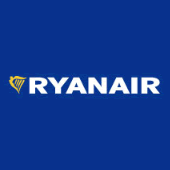 We have been closely working with two of the leading car rental companies on the island and we strongly recommend them. 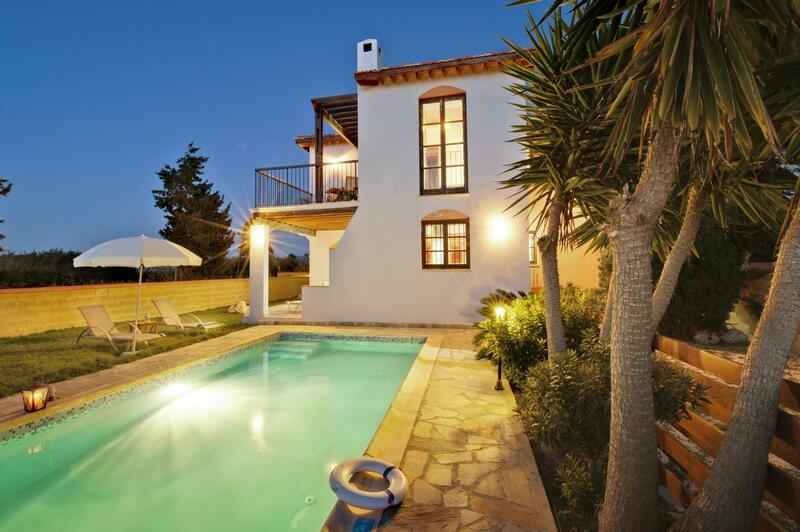 They have both proven over the years that they can assist you get the very best out of your holidays. Please feel free contact those companies directly. You are kindly requested to enter the pass-code that appears below.